Dr. Kim was born and raised in nearby Grafton, Ontario. In addition to his undergraduate degree from Ryerson University, he holds a Doctorate of Chiropractic from the Canadian Memorial Chiropractic College in Toronto. He has completed additional training in acupuncture, Active Release Techniques (ART), Smart Tools soft tissue therapy, as well as the treatment of headaches and facial pain relating to the temporomandibular joint (the jaw). After reviewing your health history, Dr. Kim will provide an individualized physical assessment of your joint mobility, strength, functional abilities, and neurological system to diagnose your specific condition. 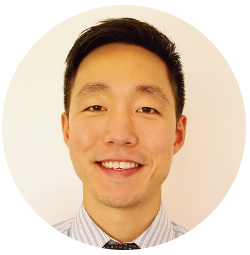 Dr. Kim’s multi-faceted approach to therapy combines tools such as joint mobilizations, adjustments, soft tissue therapy, and acupuncture to help solve your problem. He incorporates strength training and home exercises into your treatment to ensure that you get better faster and stay that way longer. In addition to treating back and neck pain, he has provided long-lasting relief to patients suffering from headaches, shoulder pain, hip and knee pain, as well as disorders of the foot and ankle such as plantar fasciitis. Dr. Kim has helped patients from all walks of life – from international-level athletes to retirees – achieve their highest levels of performance and pain-free daily living. In his spare time, Dr. Kim is an avid rock climber and has served on the Medical Staff of the International Federation of Sport Climbing’s World Cup. He has served as a trainer for the Aurora Barbarians Rugby Football Club as well as the Ontario Soccer Association and has completed clinical assessments with the Toronto Titans AAA midget hockey club. He has provided sideline coverage at numerous sporting events and is a certified Sports Emergency First Responder.